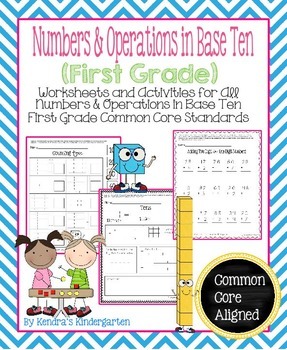 This is a pack of worksheets and activities designed to help teach the Numbers and Operations in Base Ten common core standards for first-grade. 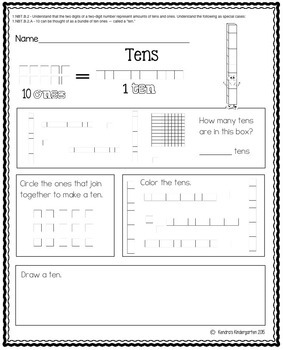 Each worksheet contains the Common Core Standard it addresses clearly printed at the top of the page. 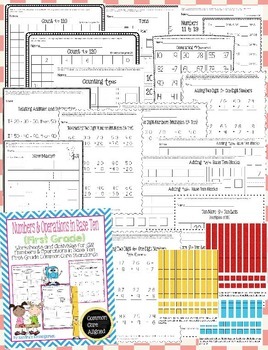 I have found this incredibly useful in helping parents to understand the concepts being taught. 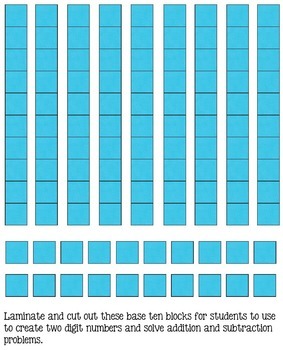 (Several worksheets address more than one standard, but only the one targeted standard is identified.) Clear directions are printed at the bottom of each page. Please message me if you have any questions. Enjoy! Follow me on facebook for exclusive sneak peaks and freebies!